Recently Apple CEO Tim Cook gave a somewhat rare and wide ranging interview to The Wall Street Journal. Along with touching on issues regarding Apple's buyback plan and the company's surprising stock dip, the CEO also talked in further detail about Android, Motorola's move from Google to Lenovo, and larger iPhone displays among other things. When asked about investor concerns that Apple isn't a growth company anymore, Cook responded by saying that even though Apple's most recent numbers may not be as expressive, the company has experienced intense growth over the past few years which is something he expects to continue. "We went from $65 billion to over $100 billion to $150 billion to $170 billion. These are historic, unprecedented numbers. 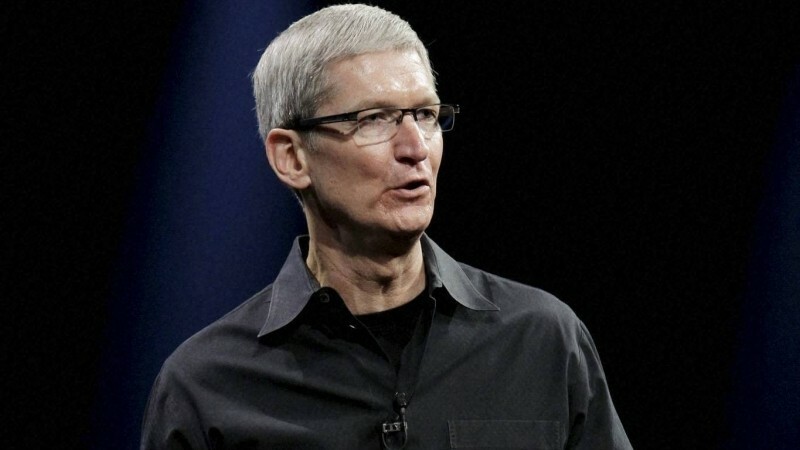 I don't know any companies adding growth at that level," said Cook. "So when you say $14 billion to $15 billion compared to those numbers, it's clearly smaller and a smaller percentage, but, to put it in some context, that's like adding three Fortune 500 companies in a year. I think that's hard to say that's not a growth company." When asked about larger iPhone screens, Cook said the company is no way against it, but "that until the technology is ready," Apple doesn't "want to cross that line." Cook has previously mentioned that larger displays can create additional issues with other aspects of the users experience, one of which being battery life, a point he echoed once again in the recent interview. "We want to give our customers what's right in all respects – not just the size but in the resolution, in the clarity, in the contrast, in the reliability. There are many different parameters to measure a display and we care about all those, because we know that's the window to the software," said Cook. Cook also had some choice words on Android in a statement regarding Apple's role in the smartphone business. "We have over a million apps on iOS. We have over half-million that have been optimized for iPad. That half-million compares to 1,000 for Android tablets," said Cook. He continued by saying that is "one of the reasons, although not the only reason, why the experience on Android tablets is so crappy because the app is nothing more than a stretched out smartphone app." Another negative thing about Android according to Cook is that it's not a universal experience because of the way companies like Samsung and Amazon re-skin the OS in order to customize it. He feels this essentially leaves users with a product created on a fragmented design philosophy. Cook also talked about Lenovo scooping up Motorola briefly saying that it can be quite a task managing and developing hardware with integrated software and services. While it is hard to say for sure Google would have struggled with this, the way it handles Nest moving forward could be a pretty good indicator. Lastly, Cook mentioned that Apple does have new products in new categories on the way as well as reassuring Mac users that Apple is still focused on OS X as much as it is iOS. Cook said Apple is moving some very talented individuals to work on future Mac projects and hopes to continue to bring on users straying from other PCs.